Between 2003 and 2015, tourism to Iceland more than tripled, growing from 300,000 visitors per year — about equal to the country’s entire population — to more than one million. In 2017, a whopping two million visitors are expected, aided by the expansion in services from the country’s low-cost carrier, WOW Air, which launched service from Los Angeles (LAX), San Francisco (SFO) and Newark (EWR) this year and will add service from Pittsburgh (PIT) and Miami (MIA) in 2017. 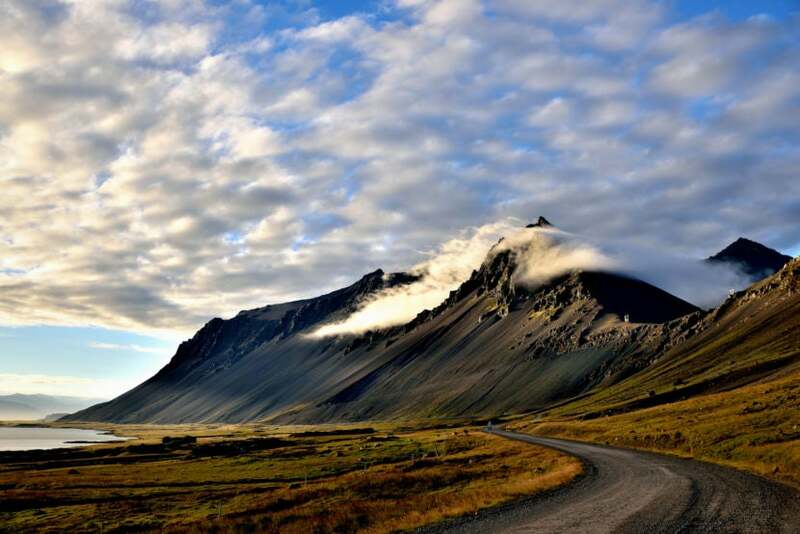 Getting to Iceland is cheaper and easier than ever, but with visitors set to outnumber locals by more than six to one next year, it will be increasingly difficult to avoid the tourist hordes and enjoy the unspoiled solitude of the country’s wide-open spaces. While the most popular spots are popular for a reason, they’re more likely to be swarmed by flag-toting tour guides and massive busses disgorging the fanny-pack-wearing set. The good news: if you drive away from Reykjavik, head off the Ring Road and avoid the Golden Circle, the crowds diminish and you’re left with far fewer people competing for space. Here’s where to go to avoid the crowds on your next trip to Iceland. Image courtesy of Sizun Eye via Getty Images. 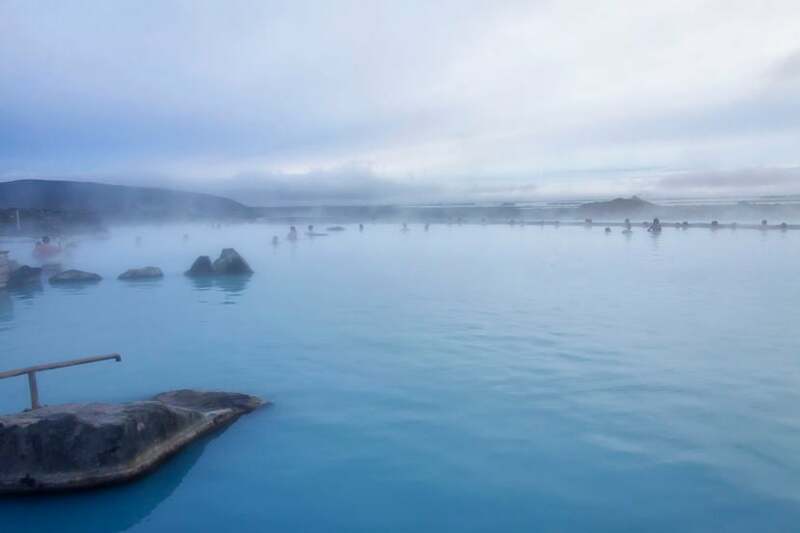 The Mývatn Nature Baths are just as beautiful as the famous (and tourist-swarmed) Blue Lagoon, with the same mineral-rich milky blue water that comes from deep underground and is believed to be therapeutic. But, since the hot spring is located in the less-visited north of Iceland, it’s much less crowded — and about 20 percent cheaper. Image courtesy of LuismiX via Getty Images. 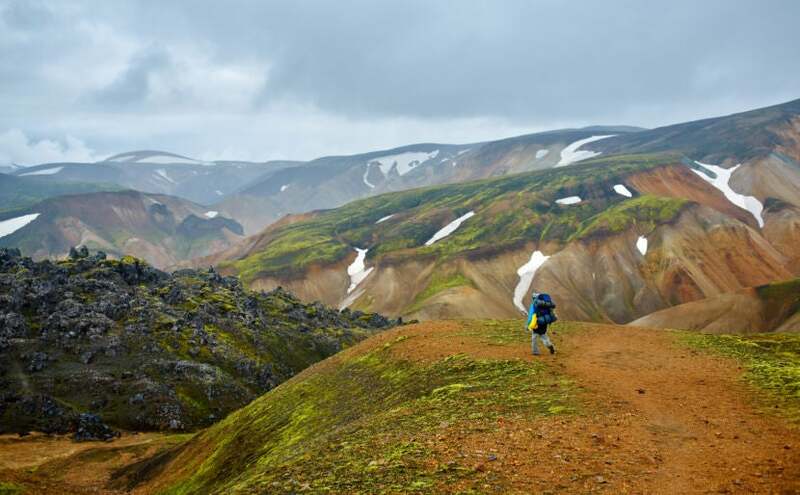 Though it’s a popular camping and hiking spot, Landmannalaugar remains an off-the-beaten-path spot due to its remote location in the Highlands of Iceland, which are only accessible during the summer — the campground here is generally open from mid-May to mid-September. Even then, you’ll need a 4WD vehicle to navigate across rivers and over rough roads. People make the trek to hike the rhyolite mountains and soak in the natural geothermal hot springs; there are camping facilities and a mountain hut with sleeping bag accommodation for 75 people. Image courtesy of vitaliymateha via Getty Images. The biggest waterfall in the remote Westfjords of northwest Iceland, Dynjandi is actually composed of six waterfalls, making it a spectacular sight on par with Iceland’s more famous falls, such as Gullfoss and Seljalandsfoss. 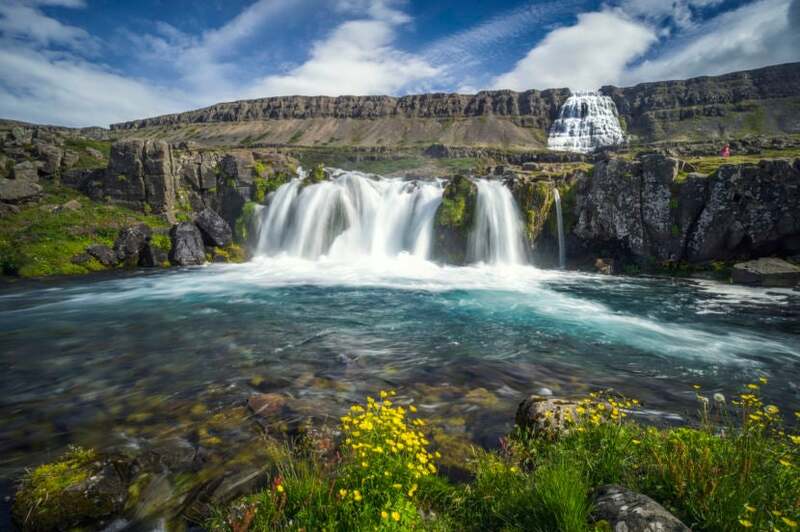 Only about six percent of Iceland’s tourists venture to the Westfjords, which means you also have a pretty good shot at having the waterfall all to yourself. Image courtesy of aevarg via Getty Images. 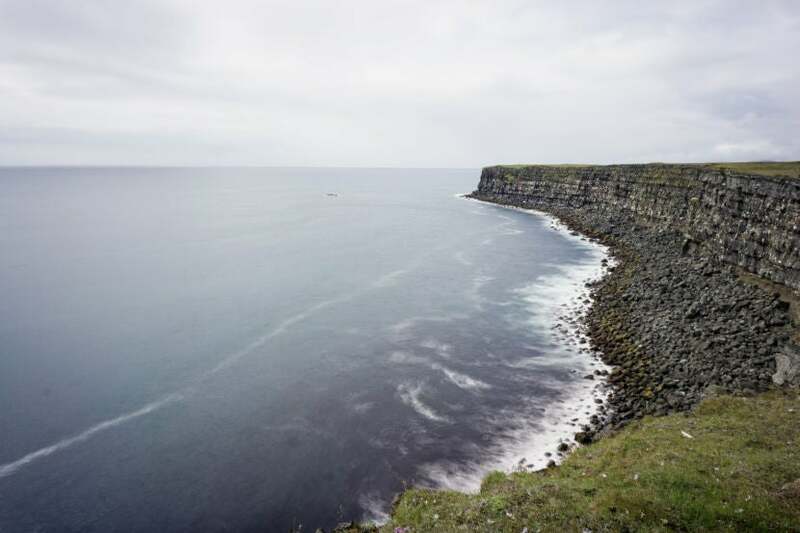 The largest seabird cliff in Europe and one of the westernmost parts of the continent (second to the Azores) Látrabjarg is set on the far southwest edge of the Westfjords. The cliffs, which stand 1,400 feet above the ocean and stretch for nearly nine miles, are home to a colony of puffins, which nest from May to August. Image courtesy of Dave Carr via Getty Images. 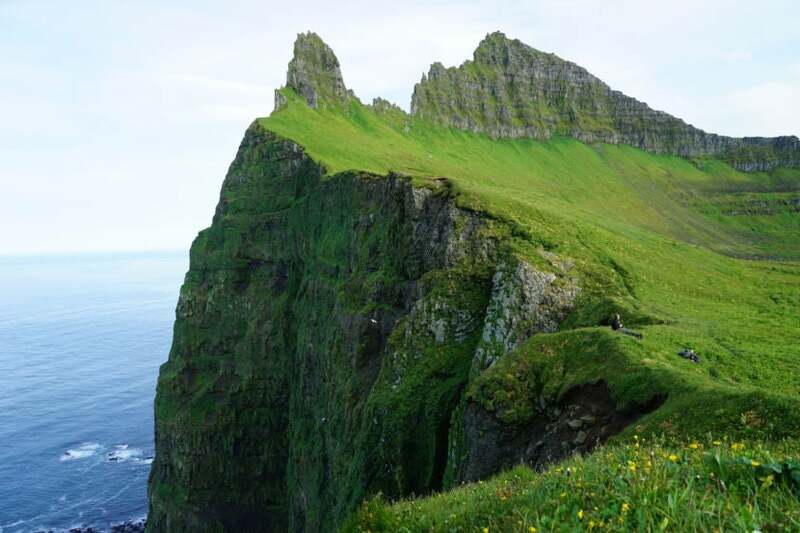 Also located in the Westfjords but on a different peninsula, the Hornstrandir Nature Reserve may be one of the most difficult places in Iceland to reach. It’s also one of the most unspoiled — there are no roads, so the only way to explore is to arrive by ferry or hike in and camp, which means you can only visit in summer. The reward for your effort: endless birdwatching opportunities and the chance to see wild Arctic foxes. Image courtesy of KlevePhotography via Getty Images. 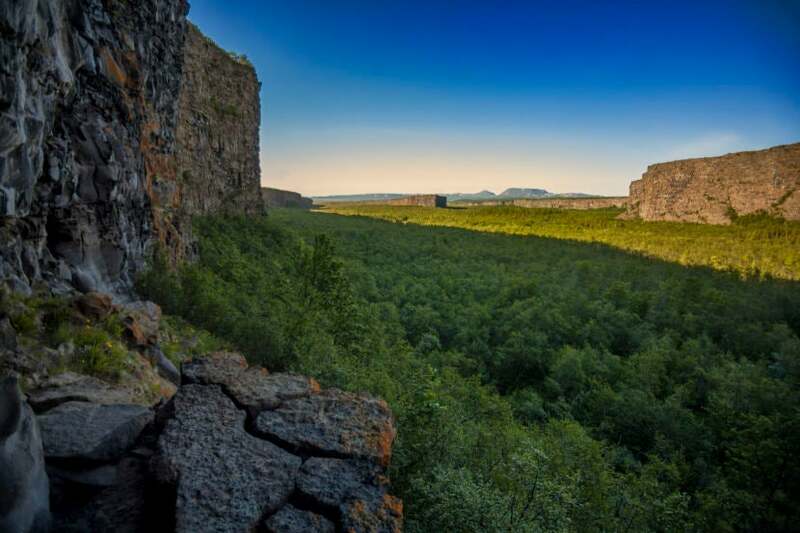 Located in northern Iceland, Ásbyrgi is a 100-foot deep, mile-wide, horseshoe-shaped canyon. Norse legend says it was formed when the god Óðinn was riding his eight-legged horse, Sleipnir, and the horse’s hoof briefly touched the earth. During summer, the canyon is a popular camping spot; there’s also an easy hiking trail that leads to the top of an island set in the middle of the canyon — the views here are spectacular. Image courtesy of fitopardo.com via Getty Images. 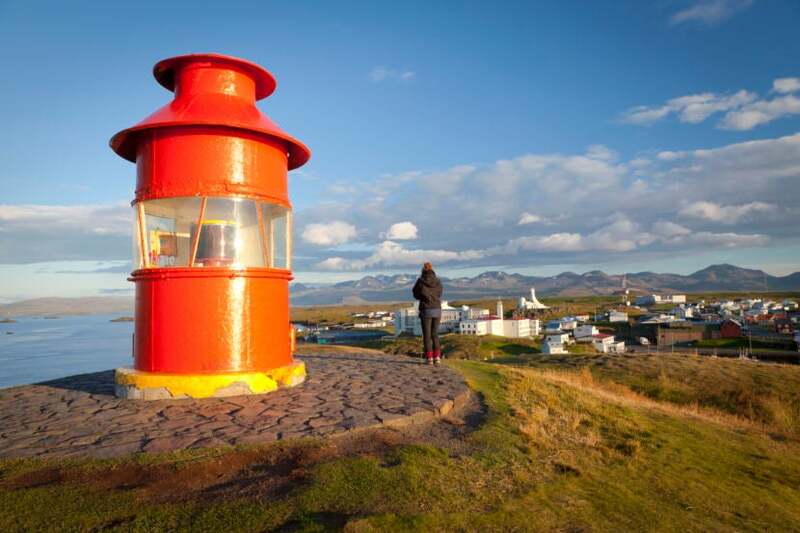 Though it has seen a surge in popularity, thanks in part to the town of Stykkishólmur standing in for Greenland in “The Secret Life of Walter Mitty,” the Snæfellsnes Peninsula still sees fewer tourists than the Golden Circle. Most of Iceland’s best landscapes — a glacier, sea cliffs, waterfalls and a volcano — are represented here, while local activities include whale-watching, ice-climbing and horseback riding. Image courtesy of Pedre via Getty Images. Though Iceland’s shoulder season is slowly extending, the bulk of the crowds still tend to come between May and August when the days are long and nearly all of the island is accessible. Visit in April, September or October, and you’ll trade accessibility for lower prices and reduced crowds. From November to March you’ll encounter the fewest people, and while shorter days mean limited sightseeing and inclement weather can affect your plans, as for the crowds… what crowds? What of your favorite things to do in Iceland? Tell us about them, below. Featured image courtesy of Southern Lightscapes-Australia via Getty Images.